Remove duplicates from a list. Is there a better alternative to Deduplicator? 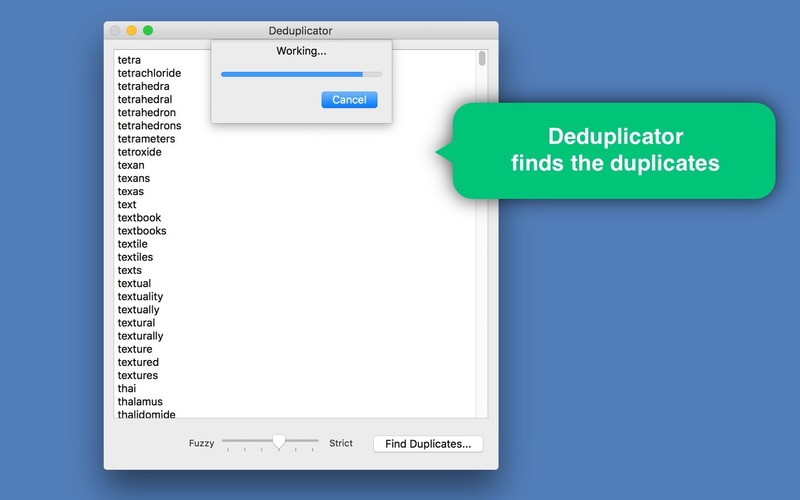 Is Deduplicator really the best app in Productivity category? Will Deduplicator work good on macOS 10.13.4? Deduplicator removes duplicates from a list with optional fuzzy-matching. 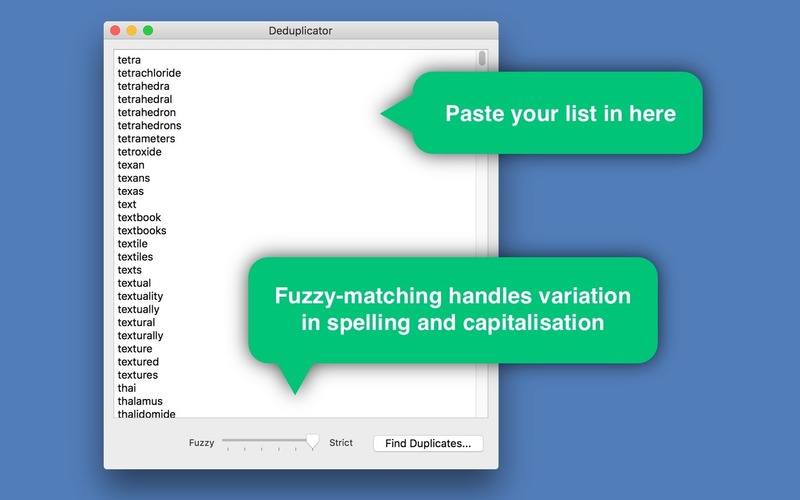 Simply paste your list into Deduplicator and hit ‘Find Duplicates’. 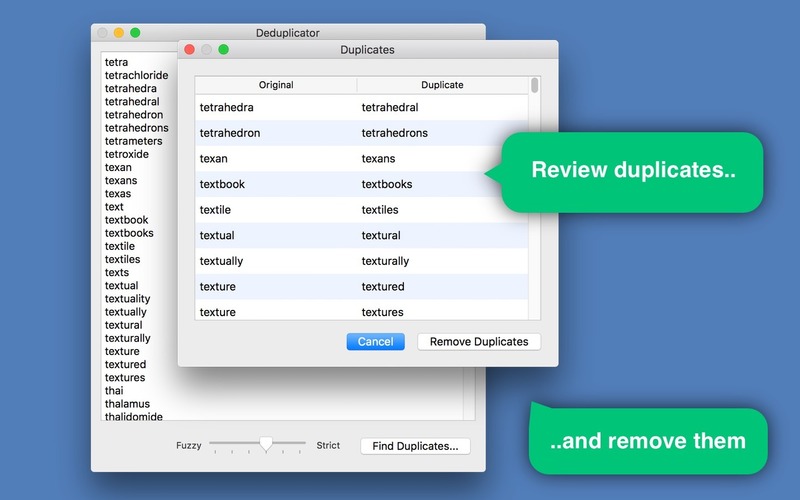 Deduplicator will identify duplicate items and show them in a preview window. Hit ‘Remove Duplicates’ to proceed. Your list has now been deduplicated and contains only unique elements. To account for variation in capitalisation and spelling, you may wish to use fuzzy matching. Moving the fuzziness slider one notch towards ‘fuzzy’ will result in a case-insensitive comparison. Deduplicator needs a review. Be the first to review this app and get the discussion started! Deduplicator needs a rating. Be the first to rate this app and get the discussion started! With some experimentation on the range between ‘strict’ and ‘fuzzy’, the operator should provide a satisfactory level of deduplication.